This is a piece of natural Eilat Stone mined at the King Solomon mine in Israel. 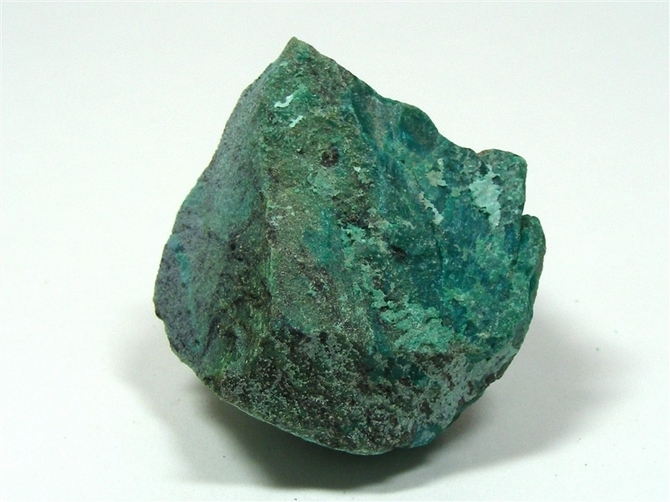 It is a secondary copper mineral being a mix of Malachite, Azurite, Turquoise and Chrysocolla and is the national stone of Israel. It was originally, and for many centuries, mined exclusively around the city of Eilat in Southern Israel from where it takes its name. This piece is predominantly a pale blue colour with areas of darker green. 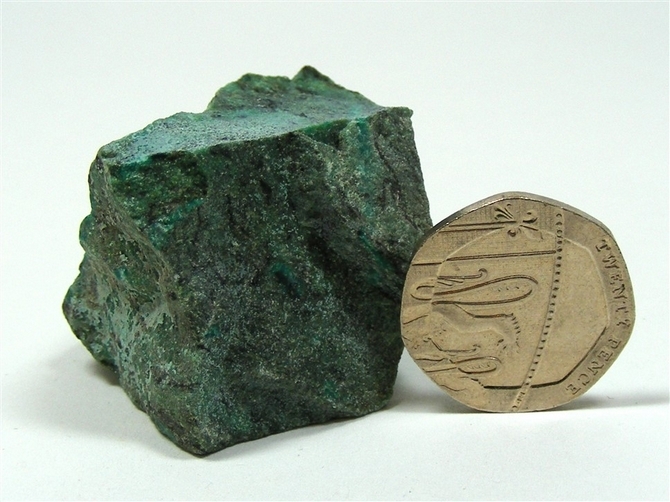 Eilat Stone is a comparatively rare stone these days. 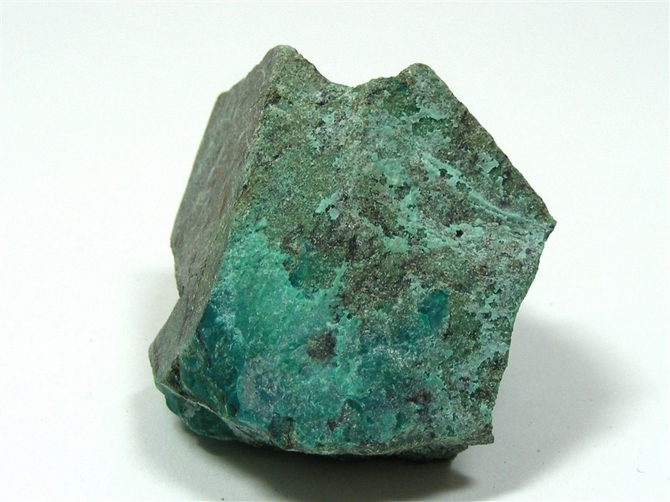 Eilat Stone is said to be beneficial for issues surrounding the heart, lungs, throat, thymus, sinuses, thyroid and liver. It is also believed to help with treating period pains and with cramps. Eilat Stone enhances our ability to express ourselves better, to be more creative and to be much more flexible and inspired when it comes to problem solving. It is also an excellent stone for enabling us to speak out about past hurts in our own lives. It helps us to speak of hurt, fear, stress, loss and abandonment and even sexual violence that we may have suffered in our lives. Giving voice to deep seated fears such as these encourages us to "flush out" the despair and hopelessness associated with them and to begin to control them instead of having our fears controlling us. 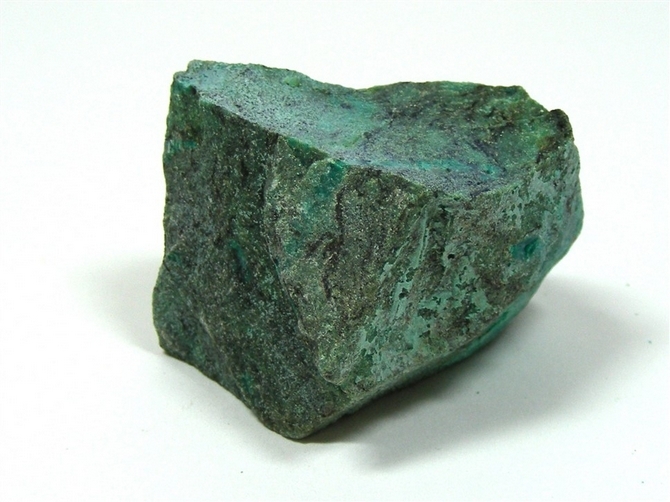 Eilat Stone helps us to own our own inner power. Eilat Stone helps us to wonder at the beauty of the Earth, to think in a more spiritual manner and to better connect with our planet. It balances our Yin Yang energies and harmonises heart, mind, body and soul. 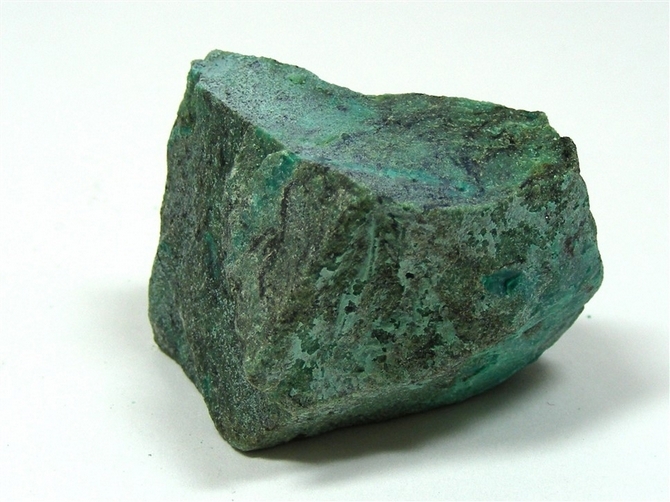 For those involved in Soul Retrieval, Eilat Stone helps to integrate soul fragments and can assist with blockages arising from soul shattering events.